for assassination and gave 'acid' to human guinea pigs. James Bond had Q, the scientific wizard who supplied 007 with dazzling gadgets to deploy against enemy agents. The Central Intelligence Agency had Sidney Gottlieb, a Bronx-born biochemist with a PhD from Caltech whose job as head of the agency's technical services division was to concoct the tools of espionage: disappearing inks, poison darts, toxic handkerchiefs. Gottlieb once mailed a lethal handkerchief to an Iraqi colonel and personally ferried deadly bacteria to the Congo to kill Prime Minister Patrice Lamumba. It wasn't his potions that eventually did in the two targets, but Gottlieb, once described by a colleague as the ultimate "good soldier," soldiered on. Poisons and darts were not his sole preoccupation during 22 years with the CIA. He labored for years on a project to unlock and control the mysterious powers of lysergic acid diethylamide, or LSD. Could it be a potent spy weapon to weaken the minds of unwilling targets? 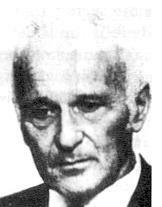 In the 1950s and 1960s, answering that question was one of Gottlieb's missions in MKULTRA, the code name for the agency's secret experiments to probe the effects of mind-altering drugs. Chief among them was LSD, discovered by Dr. Albert Hofmann, a Swiss chemist, in 1943. By the early 1950s, the CIA, fearful of LSD falling into Soviet hands, had cornered the market on the drug, which in minute doses could produce overwhelming sensations ranging from kaleidoscopic acuity to temporary insanity. The agency also started to fund research, covertly funneling hundreds of thousands of dollars to academics in prestigious institutions around the country who tried the drug themselves and reported the results to Gottlieb. Gottlieb and his associates in MKULTRA also took LSD "trips," although the concept of tripping would not enter the American lexicon for another decade. They laced coffee with LSD and served it to each other without warning, then observed each other's reactions. Later Gottlieb expanded the field tests to subjects outside the agency -- drug addicts, prostitutes, prisoners, mental patients -- people who were unlikely to complain and even less likely to be believed if they did. Among the dosed were hookers and their clients in a CIA-sponsored brothel in San Francisco, later the epicenter of the LSD explosion. One human guinea pig was subjected to an astounding 77-day trip. Some subjects suffered chronic mental problems after being dosed. One person -- an Army germ warfare researcher -- sank into dark depression and paranoia, leaping to his death from the 10th floor of a New York hotel several days after being slipped an LSD Mickey Finn at a CIA retreat. The CIA covered up its role in his demise for two decades, and barely reprimanded Gottlieb. In the early 1960s, Gottlieb was promoted to the highest deputy post in the technical services operation. By 1967, he had risen to the top of the division, guided by his longtime CIA mentor, Director Richard Helms. At that time, LSD was not a secret anymore. While the CIA was still examining the drug's possibilities as a means of mind control, many young Americans were dropping the hallucinogen as a vehicle of mind expansion and recreation. America was tuning in, turning on and dropping out, thanks, in part, to the CIA's activism in the '50s in the name of national security. It was not until 1972 that Gottlieb called a halt to the experiments with psychedelics, concluding in a memo that they were "too unpredictable in their effects on individual human beings . . . to be operationally useful." He retired the same year, spending the next few decades in eclectic pursuits that defied the stereotype of the spy. He went to India with his wife to volunteer at a hospital for lepers. A stutterer since childhood, he got a master's degree in speech therapy. He raised goats on a Virginia farm. And he practiced folk dancing, a lifelong passion despite the handicap of a clubfoot. A malignant, real-life Q, or an eccentric genius whose intentions were honorable and just? Gottlieb led the agency in 149 mind control experiments, of which about 25 were conducted on unwitting subjects. According to the survivor of one victim, the way Gottlieb duped American citizens was nothing but despicable. Less black and white in his assessment is John Marks, author of the definitive book on the CIA's mind control programs, "The Search for the 'Manchurian Candidate.' " Marks sees Gottlieb as an unabashed patriot who nonetheless "crossed the same ethical lines we hanged German doctors in World War II for." There is also the view of former CIA psychologist John Gittinger, who says his close friend was a gentle man whose actions were widely misunderstood. The agency's LSD experiments bloomed in the era of Josef Stalin and Sen. Joseph McCarthy, and "during that time of Cold War," Gittinger said recently from his home in Norman, Okla., "the attitude we had and the agency had was we were still fighting a war. And when you are fighting a war, you do things you might not ordinarily do." Gottlieb died on March 7 in Washington, Va. He was 80. His family did not divulge the cause of his death.